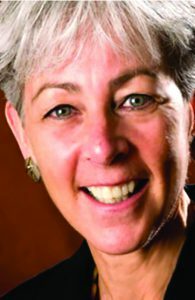 Gail Hamel is the owner of Hamel Resources, a human resources consulting firm. The state’s paid family leave program (PFL) is having a significant impact on some businesses, say those in the Human Resources field. New York’s PFL has been in effect since 2018, but won’t be completely phased in until 2021. It provides paid time off for individuals to bond with a newly born, adopted or fostered child, care for a family member with a serious illness, or assist a loved one when a family member is deployed abroad on active military service. As of Jan. 1, New Yorkers may be eligible to take up to 10 weeks of family leave and receive 55 percent of their salary. By 2021, 12 weeks of leave will be offered at 67 percent pay. Weekly pay caps are calculated based on state averages. Gail Hamel, the owner of Lake George-based Hamel Resources, said the law impacts some businesses more than others. She is a human resources consultant who works with both large and small businesses. 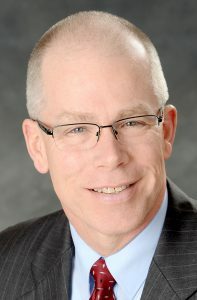 Thomas Kernan, is vice president of strategic planning and with Stat Staff Professionals. 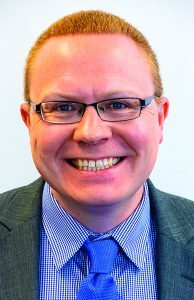 Thomas Kernan, vice president of strategic planning and general counsel with Stat Staff Professionals in Saratoga Springs was recently appointed chairman of the American Staffing Association health care section council. ASA is the professional trade association of the $161-billion U.S. staffing, recruiting, and workforce solutions industry. In this role, Kernan will work with ASA and its board of directors to spearhead programs and services that meet the health care sector’s needs within the association. ASA section councils are composed of member volunteers who advise the association’s board of directors on sector-specific issues and design programs to meet the unique business challenges faced by those sectors of the staffing industry. A seasoned business attorney and healthcare staffing professional, Kernan oversees the company’s legal affairs and collaborates with the company’s CEO on strategic planning initiatives including establishing company policies, priorities, and business development objectives. Business Report: What Work Culture Do You Want? James Marco, president, principal consultant at Saratoga Human Resources Solutions Inc. So much of today’s business literature focuses on culture, ping pong tables, juice bars, and other office perks. These are the types of things that are supposed to attract and retain talent. The fact is, every company has a “culture.” What is interesting, in many, cases is that management will often see the culture differently from line staff. Culture is not your mission or vision statement, it’s not found in those motivational wall posters and slogans seen in many office environments. Culture is not found in some grand proclamation from the CEO. And culture certainly isn’t found at a juice bar, cappuccino machine, ping pong table, or bean bag chair. Culture is found in the daily interactions between staff, the interactions between management and staff, and the interactions of company employees with customers and those with whom you do business. Culture can be a competitive advantage for an organization. Who didn’t love Sinatra? Even if you didn’t grow up in his era of popularity, you probably still tap a toe or know a verse of “New York, New York” (not the Alicia Keyes/Jay Z version either). But I can remember the last few years he was still performing on stage. It wasn’t the wisest choice. The voice was gone and the visual presentation not good. It can be painful to watch a person who is beyond their prime try to keep going well beyond the time to say goodbye. I’m seeing the same thing in the business world. Both employers and employees who don’t want to admit it is their time to say goodbye. The problem has the same attributes to breaking up with an old lover. You keep at it, keep trying to make it work. You feel badly most of the time. Frowns replace smiles. A sense of emptiness replaces fulfillment. INTAC, a second generation, family-owned and operated company, provides its clients with unparalleled pension administration expertise and personalized service. The office is on Clinton Street in the downtown area. 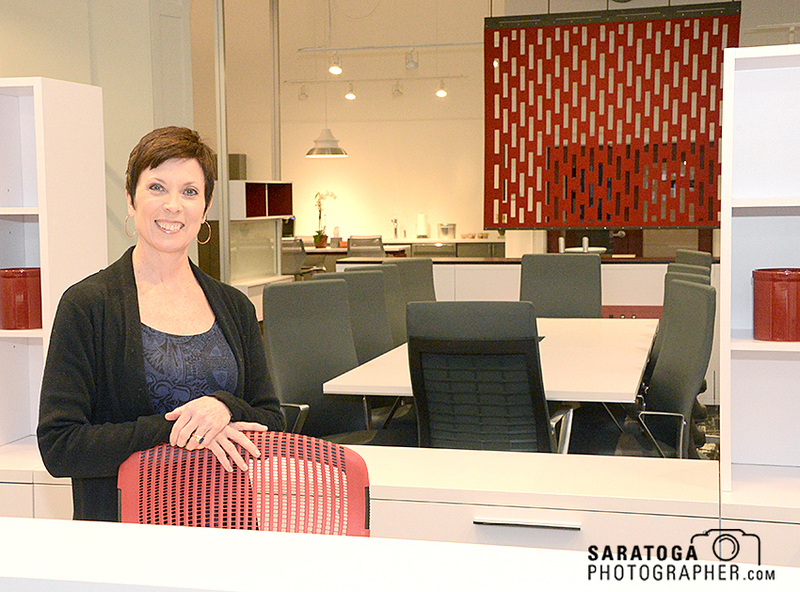 Dorothy Rogers-Bullis, owner of drb Business Interiors in Saratoga Springs, says she takes care to make sure the work they do will help improve the productivity of their clients’ businesses. Businesses with cluttered offices or cramped reception areas might think that their poorly designed spaces are just a minor inconvenience, but one local business believes otherwise. According to Dorothy Rogers-Bullis, owner of drb Business Interiors in Saratoga Springs, an office with properly utilized space has more benefits than being aesthetically pleasing. “We make people very successful in their space,” said Rogers-Bullis. Similarly, while a business can’t function without hardworking employees, there’s no denying the role equipment can play in deter. 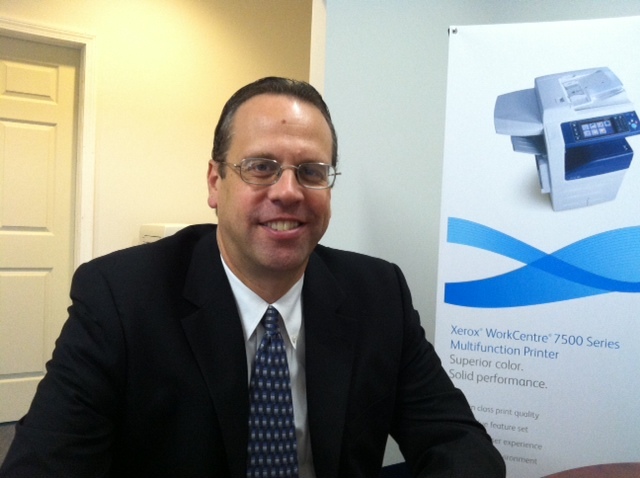 Whether it’s break room supplies, printer ink and toner, computer hardware, everyday office supplies, or cleaning supplies, Seeley Office Systems, which serves businesses in Saratoga, Washington and Warren counties, has a broad catalogue of wares available for business owners. Anthony and Rebecca Vertucci are cofounders of Vertucci Consulting LLC. 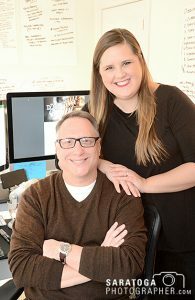 Vertucci Consulting LLC, co-founded by Anthony and Rebecca Vertucci, is a career coaching and consulting firm begun recently in Saratoga Springs. The company aims primarily to solve business problems, through one-on-one consulting and through Vertucci Career Academy, an interactive website with on-demand, pre-programmed coursework available in a self-paced format. The website offers advice on topics like resume-building, LinkedIn profile creation, interviewing, networking, negotiating and more. The overall consulting arm assists employers with business consulting and strategy, marketing and sales, and social media, the owners said. Most of these clients consist of large companies and “solo-preneurs.”Consultations can take place in person, via phone or video conferencing. The owners said clients generally fall under the categories of transitioning career (or transition out of a corporate job), promotion adjustment, or changing location. Dhianna Yezzi is the president and owner of Integrated Staffing. There are many aspects involved with being a small business owner. Anybody considering starting a company needs to keep in mind key issues involving employees. 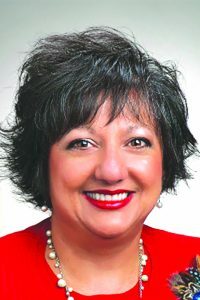 “The biggest issue is finding candidates that are qualified and then want to stay in that position,” said Dhianna Yezzi, president and owner of Integrated Staffing, with offices in Saratoga Springs, Glens Falls, and Albany. Yezzi said the most pressing issue facing employers today is retaining employees. 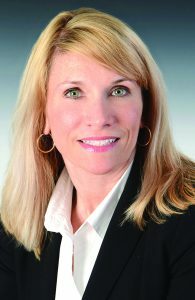 Noreen DeWire Grimmick, an attorney and partner with Hodgson Russ, said from her perspective there are pieces of legislation taking effect this year that impact business owners and employers should make themselves knowledgeable of the laws. Some of them will be phased in over time. She said one of the most recent changes to employment laws is that as of Dec. 31, 2016, the minimum wage has increased to $9.70 for most non-exempt employees. For exempt executive and administrative employees, there are also rules regarding the minimum salaries that these employees must earn each week. Some employers have purposely mis-classified their employees, said DeWire Grimmick. In an attempt to stop employee exploitation, Gov. Andrew Cuomo signed an executive order, passed into law in July, establishing a permanent Joint Task Force on Employee Misclassification and Worker Exploitation. Just as most people have made the transition from cell phones to smartphones, businesses looking to streamline and improve workflow, improves efficiencies, reduce their carbon footprint and save money are also opting for MFPs – multi-function printers – for their businesses. One of the most important features of MFPs is their ability to interface with remote devices and process and share information more rapidly. “Many of today’s workers don’t operate from 9 to 5 out of a cubicle, attached to their computers,” said Rick Gallup, owner of Document Solutions of the North Country. People are on the move or working from home and they need the connectivity that an MFP provides. According to Gallup, there are many models of MFPs that allow an employee to fax or scan directly from their mobile device or tablet. They are also capable of connecting to the cloud and sharing information with other team members. Other features include the ability to print from or scan to commonly used sites such as Google Drive, Microsoft 365 and DropBox, to name a few. “There are a number of apps available that can be downloaded onto the client’s MFP, offering a variety of functions and features designed to multiply productivity,” said Gallup. employment of returning veterans of the U.S.
its active role in the national marketplace. employees and employers to find each other.